The LHS Powerlifting season kicked off on January 19th. Click here to see meet results and photos. Congrats to the following athletes who have qualified to participate in the Regional Powerlifting Meet! Visit @LorenaPowerlif1 on Twitter for video and photo highlights from all the Powerlifting Meets. 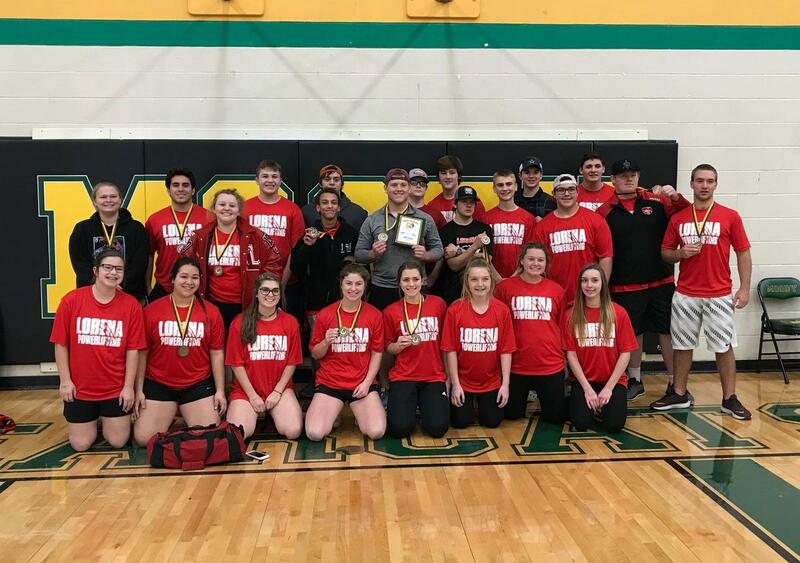 The Lorena Leopard and Lady Leopard Powerlifting Teams both earned 2nd Place at the West Invitational Meet on Saturday out of a pool of 15 highly competitive teams from around Central Texas! There were a total of 42 Personal Records Broken by 23 lifters from Lorena. Extremely Proud of these kids who represented our school and community with class and character. This past Saturday the Lorena Lady Leopards won the 1st place team trophy at the Reicher Invitational powerlifting meet which was comprised of 16 schools from around Central Texas! Their performance included breaking 17 personal records as well as a bench press record for the Reicher Invitational. Kaci Donaldson won 1st place, broke the state qualifying total, won the outstanding lifter award, and broke the bench press record of 180 pounds by 25 pounds lifting 205 pounds. Danielle Carrizales won first place and hit the state qualifying total of 900 pounds with a 375 pound squat and a 200 pound bench press. Rebekah Moseley won 1st place by totaling 655 pounds in her first meet of the year. Kimberley Kolls placed 2nd and improved her previous total by over 40 pounds. Ashlyn Thompson placed 5th and lifted a new personal best in the deadlift of 205 pounds. Jazmyn Hooper placed 5th and improved her total by 70 pounds hitting personal bests in both the squat and deadlift. Giana Villanueva and Calla Cook also contributed by hitting personal bests two lifts each. Overall this group placed 5th as a team. The Boys Powerlifting Team won first place at the Moody Invitational on Saturday overcoming teams from 14 different schools! Three Gold Medalists included Sterling Harris, Darrian Clark, and Carson Ford. Second place was Colton Tucker. Third place was Tyler Sparks, fourth place Ethan Rodriguez, and fifth place in his respective weight class was Thomas Powers! On the Girls Powerlifting Team there were First place finishes by Danielle Carrizales (squat 350, bench 200 and deadlift 330), and Kaci Donaldson, who not only hit the State Qualifying Total, but broke the Meet Bench Press Record of 185 lbs in her weight class by Bench Pressing 210 lbs! Taylor Kimberling placed 4th and Amy Lorenz placed 5th. Kynlee Bartosh finished 2nd in her division after deadlifting 275 lbs.